There are three areas on Naoshima that people will want to visit. The Benesse Art Site area is probably the most famous but the Honmura and Miyanoura areas are more interesting. It is where the villages of Naoshima are located. The Benesse Art Site area is a great area but it feels sterilized and segregated from the rest of the island. The Benesse Art Site area is all on private land and cars are not allowed to enter that area unless they have reservations at the hotel. Miyanoura and Honmura are both part of the village with locals living in the area. It is not uncommon to run into various locals but during the Setouchi Triennale, it is more likely that you will run into other tourists like yourself, which can lead to a strange feeling compared to the rest of the islands in the festival. 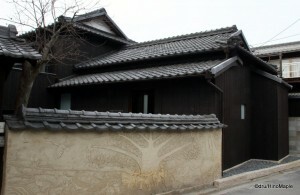 Honmura is famous for its 7 art houses that were built from 1998. I had a chance to see it in 2009 when I visited Naoshima for the first time, and on my return trip I decided not to visit the houses again. I decided not to visit the houses again for a few reasons, the main one being that they were crowded. I had seen them when the area was not crowded and I had the houses nearly to myself. I was able to see each house with at most 2-4 other people there. I enjoyed all of them but photos are generally not allowed in any of the houses. The wait to see all of the houses would have been too much for me to handle and since I still have good memories of the houses, I decided not to visit them again. From my memory of my trip in 2009, I would say that “Kadoya”, coincidentally the first art house to be built, was my favourite. It had a small pool with perhaps a hundred LED lights inside the pool flashing numbers at random timed intervals. Designed by Tatsuo Miyajima, it was one of the more peaceful and lovely art houses in Honmura. All of the art houses should be visited at least once if you are visiting Naoshima. There are two new installations in the Honmura district for the 2013 Setouchi Triennale. The most popular installation would have to be the new ANDO MUSEUM. It continues the theme of the other art houses. It was designed by Tadao Ando, naturally, with a lot of intricate thought going into the house itself. The house looks normal from the outside, aside from the well-kept exterior. When you enter the museum, you are greeted by Ando’s signature, concrete. While I enjoy the idea of using concrete in his works, I find he almost excessively uses concrete for these projects. I am happy to say that the ANDO MUSEUM does break the trend of disappointing me, or being over hyped to the point that I am disappointed. It also gave me a greater appreciation into Ando’s work. The museum focuses on telling how he built the museums on Naoshima and the design that went into it. He went to great lengths to collaborate with the artists in order to create a museum that not only displayed their works but also their artworks. I’m still not a huge fan of Ando but I do appreciate him more than I did before. 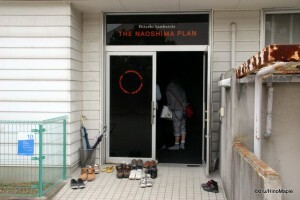 The other new installation in Honmura is the “Hiroshi Sambuichi – The Naoshima Plan” exhibit. Hiroshi Sambuichi is the architect who designed the Seirensho on Inujima. The Naoshima Plan is being held in, from what I can tell a community centre or school. It starts off with a video, with English subtitles, explaining what he calls Energyscapes. Energyscape is a way at designing architecture considering the natural environment that is surrounding it. He studies the area that he is given and then creates a structure that makes use of the natural surrounding materials to minimize its need for energy. It was a fascinating video and a must see if you are going to the Setouchi Triennale. There was even a model of the Seirensho and you can see the effect that Sambuichi created. There are other works from Sambuichi on display as well. You can see how he considered the natural shape of the land when creating the structures. The most interesting was the “Sloping North Slope” house he built. It is a house built on a north facing slope, and the house follows the slope in order to maximize light in the winter and maximize shade in the summer to help control the temperature. They had lights positioned around the model to demonstrate how the effect works. In the summer, they will unveil another section of his work, perhaps detailing some information about what he hopes to build on Naoshima. In the autumn edition, they will unveil his plan for a new Naoshima Hall. I wish I could see it but I’ll just have to make due with hoping someone else will give me the information over the internet. 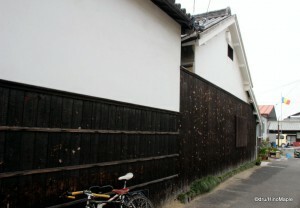 The Miyanoura area is not a major area for artwork but it is a major thoroughfare. Naoshima is a popular area for people to take ferries to Teshima and Inujima, and almost everyone who goes to Naoshima will go there via Miyanoura. It is where you will see most of the hustle and bustle of the island and a lot of trucks are moving in that area. 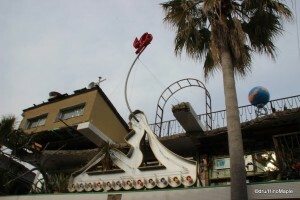 The only artwork of importance during the spring edition was the “I ‘heart’ Yu” building. It is pronounced “I love you” which is a play on words. Yu (湯) is the Japanese word for bath, and the “I ‘heart’ Yu” building is a working bath house. The outside is a crazy mix of items that have almost no connection to each other, but the overall theme of bathing is there. Part of the experience is to actually go in and bathe but I didn’t have enough time and I figured by the number of people going in that it was very busy. I would have loved to bathe there but time and energy had expired when I did go, so I decided to just leave. 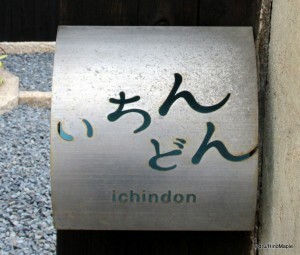 If I am ever back in Naoshima, I would love to try to go to the bath house, provided it isn’t as busy as when I went. I personally enjoyed Honmura and Miyanoura a lot more than the Benesse House area. While I like the art all over the island, I preferred the small town of Honmura the most. Unfortunately, visiting Naoshima on the weekend partially ruins the feel as there are too many people for such a lovely small town. The spring edition was unfortunately the “worst” edition out of the entire Setouchi Triennale for Naoshima. There is more than enough artwork to see for someone who has never visited Naoshima before, but the fact that there will be another exhibit opening in the summer edition as well as other additions to the Naoshima Plan, I wish I had the ability to revisit Naoshima during the other editions of the Setouchi Triennale. My opinion on Naoshima hasn’t changed and I still highly recommend it to people who enjoy modern art. It is a must see if you are in Japan, especially in the Takamatsu and Seto Inland Sea region. 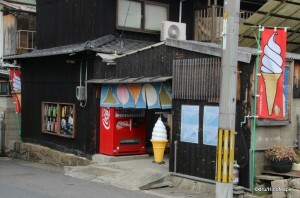 Naoshima (Honmura & Miyanoura) is part of a series of posts on the Setouchi Triennale. Follow the links below to read more about the different aspects of the Setouchi Triennale. Naoshima (Honmura & Miyanoura) is also part of a series on Naoshima. Follow the links below to read more. This entry was posted in Setouchi Triennale, Shikoku and tagged Ando House, Ando Museum, art, Art House, bath house, Benesse, Benesse Art Site, energyscape, Hiroshi Sambuichi, honmura, I Heart Yu, I love Yu, Inujima, japan, Kadoya, Kagawa, miyanoura, Naoshima, Naoshima Plan, Seirensho, Setouchi, Setouchi Art Festival, Setouchi Triennale, Sloping North Slope, Takao Ando, The Naoshima Plan, Yu by Dru. Bookmark the permalink. The Benesse Art Site sounds rather uppity and exclusive. Benesse Art Site probably is uppity and exclusive. 🙂 Then again, my writing style did portray it as such. PS: I know what you mean about concrete. His museum blended wood into it and made it better, but not perfect.